You want to be some who does what they say they’re going to do. You want to finish what you start. You want to stop wishing you could reach your goals and actually start accomplishing what you’ve spent years thinking about. It’s your time to shine. 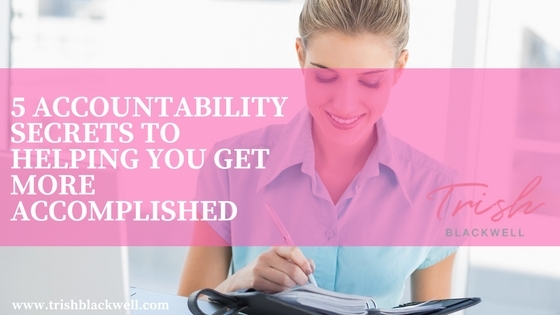 There’s one thing that will make sure you get what you want: accountability coaching. You need accountability. We all need it. In fact, the highest performers and achievers in life are intentional about keeping measures of accountability in their daily lives. There are five simple secrets to accountability that will help you get more accomplished, more quickly. Let’s cut to the chase though – accountability isn’t a “get results quickly” guarantee – it’s just a different, more structured and confident approach to getting done anything in life you really care about. Speaking of what you care about, let’s chat about that for a moment. What is it that you want the most in life? What current goal or vision matters the most to you, and, perhaps more importantly, why? The more clear you are on what you want, the more simplified the implementation of these accountability secrets will be for you. The most important thing about someone who is ready for a new level of follow-through and accountability in their life is for them to know that now, that this time, it is different. Accountability starts with a public proclamation – an open commitment to a goal that is visible to others. If you’re ready to achieve that goal you’ve been thinking about, then go ahead, use the comments to this post as your soap box. I would love to know your goal – to know what matters most to you – so that I can cheer you on as we move forward in accountability. If you want different results than you’ve ever gotten before, you need to know that this time around will be different than ever before. That’s the accountability advantage. That’s why people hire accountability coaches. That’s why you are never going to be “stuck” or “plateaued” or delayed in reaching your goals again – because with these accountability secrets, chances are, your approach, strategy, structure and execution of your goals will be different than ever before. That’s your edge. That’s what will make this time different. I am confident about it because I’ve personally coached hundreds of people through breakthroughs with these basic strategies – people who have been wavering around the same goals for up to decades break the pattern and get the results they so very much deserve. You deserve the success you are craving. Let’s make it more simple and sustainable, okay? Let’s make sure you become a master of the accountability secrets to help you get what you most want accomplished. It’s true. A coach provides the accountability, the strategy, the pep-talks, the support that you need to press on and to keep on keeping on when you are feeling tired or discouraged. The proper support network reminds you that people care about you and that they care about your success – they believe in you and they will encourage you until you are shining as brightly as you meant to! Every top level performer has a coach. Professional athletes have coaches. High-level execs have coaches. Coaches have coaches. Everyone needs an outside-party’s perspective to guide, support and push them to become the best that they can be. Great coaches empower you to believe in yourself in a way that you might not be able to on your own because great coaches see the greatness within you that you can’t yet see. Great coaches pull out your greatness and support you as you take each scary step along the way. A coach will ensure that you take more steps of action, will help you stop overthinking and will take the burden off of you that you feel by walking beside you every step of the way on your journey. When you know you’re not alone you can always keep going. That’s the secret sauce of having an open community or a small support group who know and support you as you pursue your goal. Not only does having a community promote you to a new level of accountability that will help your level of consistent follow-through, but it also provides a network for you to fall back on in moments when your spirits are down or you are tired of staying the course. Being connected to others – and being open about your goals, your baby-steps of action and your progress with them is a secret to results. Furthermore, you’re going to be celebrating, because you’re going to be successful, so you might as well get yourself people who are going to want to party with you and celebrate with you along the way. One of the secret powers of a community of support is that they will remind you just how far you have come and will be willing to help you really engage in and relish the journey along the way. Being around other likeminded go-getters is contagious and will help make taking action on your all all the more natural and easy. Simply put, a community makes reaching your goal easier because by being around people who believe in themselves and who are striving to improve themselves you will more naturally do the same. One of the most overlooked steps of successful accountability coaching is celebration. I mean, who doesn’t want more champagne in their life, right? I want you to pop more bottles, and I mean that literally and figuratively. I want you to stop focusing so much on the destination and instead learn to cherish the journey…that’s the secret of accountability coaching that is perhaps the most fun and easy to implement. It’s simple: celebrate more. The accountability coaching secret often not accounted for is the secret of perspective. The trick to keeping forward momentum towards a goal going is that you notice the little victories along the way – that you notice the process and can find ways to celebrate successes as you go. It may seem oversimplified, but the more you celebrate, the more you will find reasons and motivation to celebrate – and in the terms of goals, that means that the more you feel yourself succeeding, the more you notice it, the more likely you will be to succeed even more. An accountability coach and a supportive community will help you track your forward momentum so that you keep perspective on the big picture of how well you are actually doing. It is when we believe that we are doing well that we are more naturally motivated to continue doing well and pushing ourselves, thus making the follow-through on that which we wish to be accountable to all the more natural. 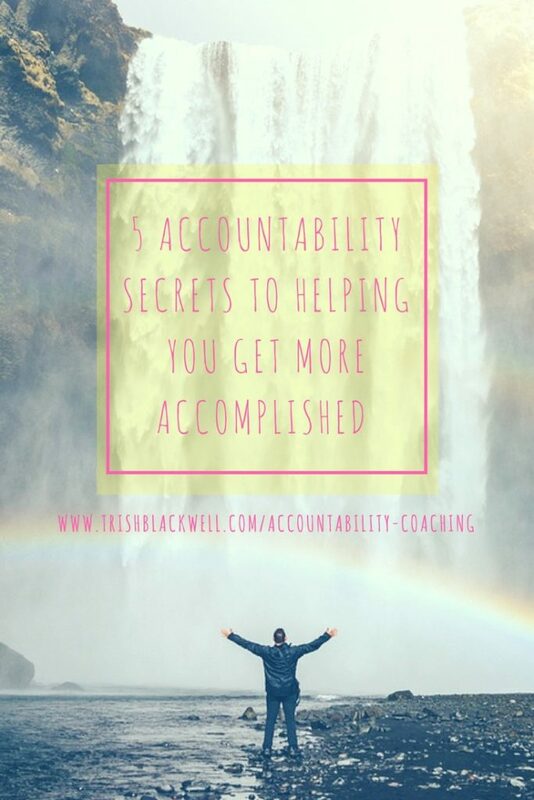 What high performers know about accountability coaching that you may or may not know is that one of the most effective drivers to help you move forward is found in knowing that your goal matters more than just to you. When we feel like we are our own islands – like our goals are selfish or that they don’t influence others in a positive way – it is way more easy to reprioritize them. The thing is, your goals matter more than just to you. That’s because when you are the best version of you (and your goal is helping you get to that point, is it not? ), then you are a positive influence in this world. It goes without saying that your goals matter more than you know. People who are able to follow through on what they say they are going to do to, who are able to finish what they start, are people who have a very clear vision into “why” what they are doing matters to them. If you can hone in on your “why” – on why what you are doing matters to you, then you can really and truly tap into a new level of goal actualization. Clarity can push you forward to take more action, to help you “show up” and follow through more consistently and can give you the courage to step outside of your comfort zone to reach your dreams. We make our goals harder than they need to be. I’m not saying that we set too high of goals, quite the contrary, actually. Often our goals are too small and too limited. We set small goals and we make them harder than they need to be. We overthink, we over-plan, and we over anticipate what big things we need to do. The truth is that reaching a goal is less about doing big, drastic things and more about doing small, daily tasks. Goal setters who have a commitment to be consistent are goal setters who reach their goals. You don’t need to know all of the steps you need to take, you just need to take one day, each day, towards what matters to you. Successful people show up for their goals, for the small actions they need to stay consistent on, even when they don’t feel like it. This becomes easy to do when you have made the simple decision to be a person of consistency. Decide two things and you will have results: decide to be consistent, and decide to always show up. If you do those two things the option to give up or give in will never present itself and you will never stop until you reach wherever it is that you want to go. The decision to be consistent and committed also empowers you to de-personalize any fear of rejection or vulnerability you might feel as you put yourself out there in pursuit of your goal. When you’re committed to consistency it doesn’t matter what people think – it just matters that you show up and keep going. Consistency keeps your eyes on the prize and it gets the prize into your hands. It can be different for you this year. It has to be different for you, because this is your year if you want it to be. But you need to prepare for the inevitable hiccups that are going to come your way. You need to anticipate the challenges, and you can do that by making sure you have a coach and a community on your side. I have a solution that might help you:make sure you have the three secrets to success as part of your plan. Get a coach. Get a community. Get consistent. I want to be your coach. I want The College of Confidence to be your community. I want to help you stay consistent. There’s nothing I love more than helping people dig in deep and do whatever it takes to get themselves across the finish line of their goals. I mean, I love it more than I love chocolate. And that says something. Your goals and your “why” is unique, as are your obstacles and hurdles, which is why I offer two unique approaches to coaching your accountability / follow through – I want you to have the support system that will work best for you. That’s why I offer accountability coaching in two formats, via the community coaching membership of The College of Confidence and via one-on-one exclusive coaching. Both options are dedicated to getting you wherever you want to go. I am obsessed about helping people start and finish what they start. My one-on-one services are reserved only for someone ready to do whatever it takes to get themselves to the next level of their life. The College of Confidence offers similar support and structure as customized coaching packages, but at a fraction of the cost (think 90% + off the rate of coaching). Accountability Coaching through The College of Confidence is a membership coaching service offered by Trish Blackwell, providing coaching and accountability at over 90% off the cost of traditional customized coaching. The College of Confidence is a membership community dedicated completely to helping people reach their goals – and to keeping them accountable and consistent along the way. Members of The College of Confidence have access to thousands of dollars of coaching videos, receive four monthly coaching videos to help them stay sharply focused on their goals and have the opportunity to connect live with Trish four times per month via video coaching. Additionally, members have an ask-anything forum support network where they can connect personally with Trish and other College members at any time to help them stay committed towards forward movement towards their goals. Cost: The cost of Accountability Coaching in The College of Confidence is just $47/month, cancel at any time. Sign-Up: Register for The College of Confidence by enrolling at www.trishblackwell.com/college. Enrollment will take just two minutes! One-on-One Accountability Coaching is an additional coaching service offered by Trish Blackwell, customized and created for the person who is absolutely committed to making sure that they follow through on their goals no matter what. 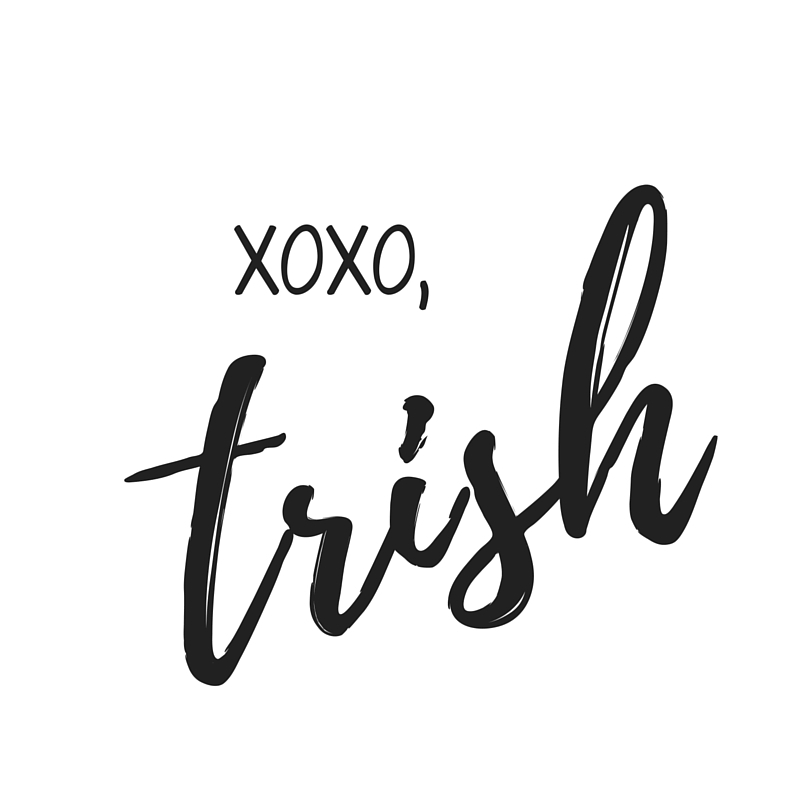 Through one-on-one calls (or video Skype or FaceTime sessions, your choice) with Trish, you will be held accountable to your goals and to the agreed-upon benchmarks and habits that you have set for yourself. Cost: The cost of Accountability Coaching varies depending upon your goals and is customized to an individual’s needs. As your coach, in whatever capacity that looks like, I take the opportunity to be a voice of influence in your life very seriously and with great honor. You can expect that I will be your number one cheerleader and that I will hold you to whatever standards of achievement you wish to reach. In our coaching and consulting sessions, you can expect my full attention, probing questions and dynamic conversation about how to make and implement positive change. Each coaching session, 55-minutes in length, will include homework and actionable items for immediate implementation as well as personalized and creative measures for accountability. Additionally, everything disclosed in our sessions will be in full confidence and held private, unless you grant specific permission to share anything with others. My greatest desire is to help you grow and develop into the best version of yourself possible in all areas of life. As a client of Trish Blackwell, you are committed to a sincere desire for personal development and growth. You are willing to step outside of your comfort zone, to dig into your emotions and dreams and to take action to overcome the hurdles that have been holding you back from living your best life. You agree to pay for each session 24-hours in advance of the session, or upon receipt of the invoiced PayPal bill and you understand that coaching sessions are non-refundable. Additionally, you understand that in order to reschedule a session, you must do so 24-hours in advance of the originally scheduled session or otherwise forfeit the coaching session at full price. 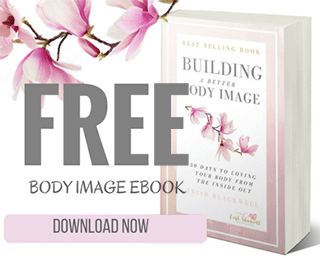 Finally, you understand that Trish Blackwell is not a licensed psychologist, nutritionist or medical professional and that her coaching and consulting are intended to be recommendations and guideposts for your growth. How you implement your coaching and consulting is ultimately up to you, as Trish Blackwell cannot be held legally responsible for any outcomes.